RESULTS ARE IN! Thank you to everyone that came out and made this event possible. CLICK HERE TO GO TO THE RACE RESULT PAGE! 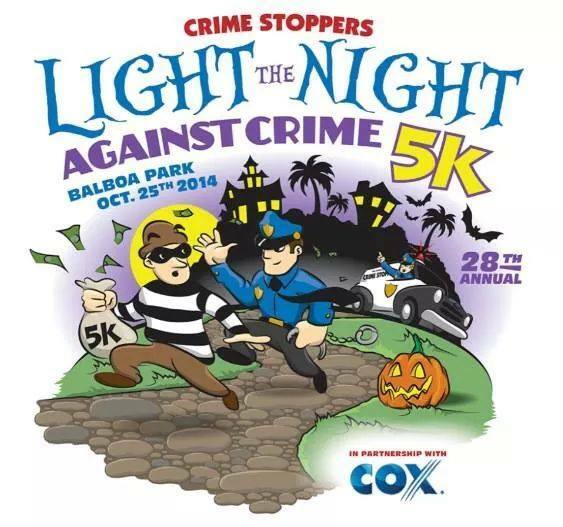 Partner CW 6 San Diego Program Featuring San Diego Crimestoppers! CW6 San Diego show on SDCrimestoppers. In honor of our 30 years in the business of "helping cops catch crooks", we have selected 30 fugitives to be showcased. 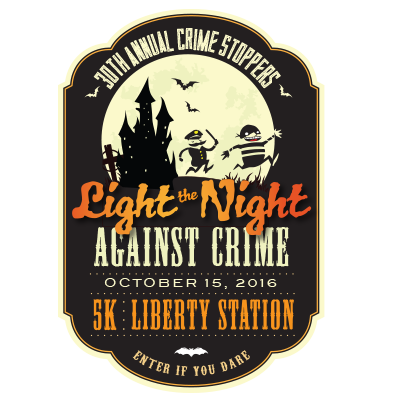 Let's catch ALL 30 and make San Diego a safer place to live and work. News 8 gets an inside look at how our local Crime Stoppers reward program works! 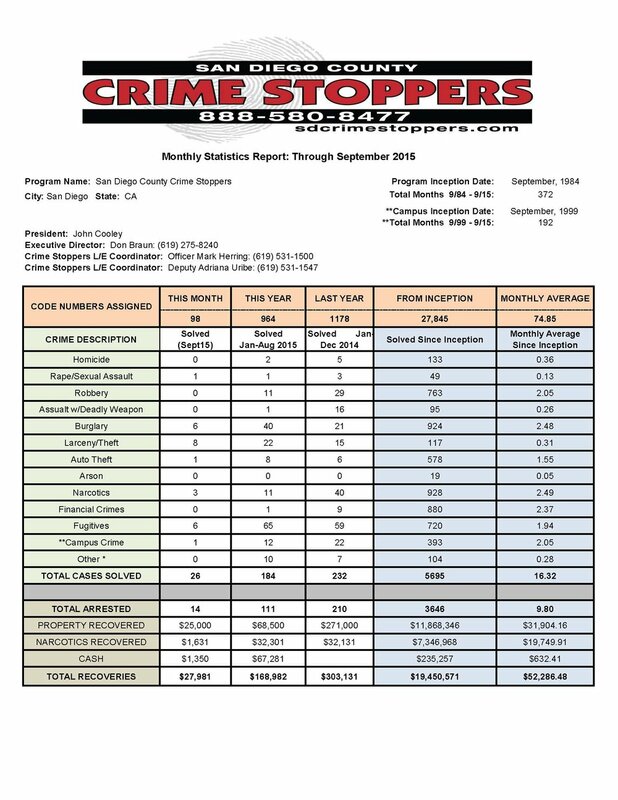 Who gets the rewards offered by San Diego Crime Stoppers? SAN DIEGO (CBS 8) - In Los Angeles, there is still haggling going on over who should get a reward in the manhunt for former L.A. cop Christopher Dorner. So how does the tipster reward system work here in San Diego County? You've heard the plea thousands of times on News 8 -- an urgent request to find San Diego's most wanted. 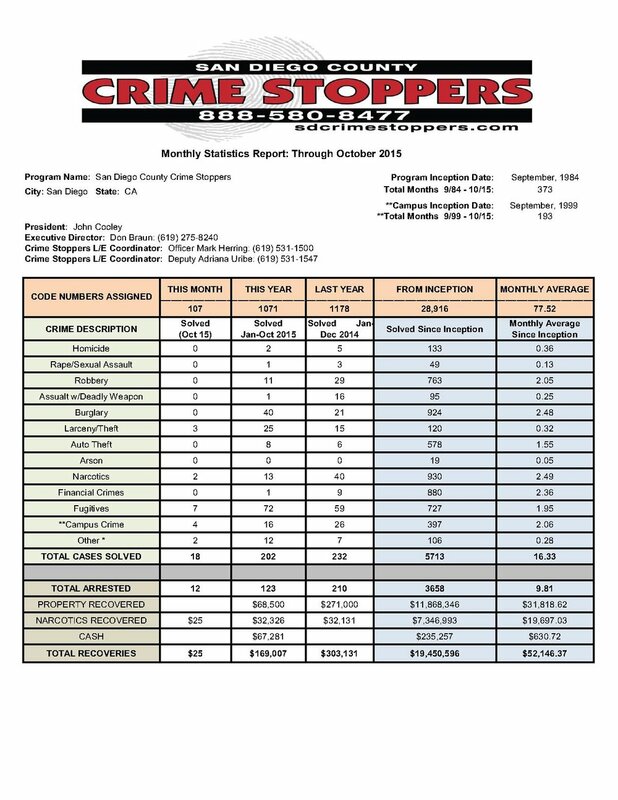 But are the suspects featured in Crime Stoppers reports really getting caught? And what about a reward for information leading to capture? Once a month, a volunteer board of directors considers successful tips and decides who should be paid and how much for bringing criminals to justice. "It really is an entire community collaboration, cooperation, and this is what Crime Stoppers is all about," SDPD Asst. Chief Shelley Zimmerman said. To sustain Crime Stoppers' Students Speaking Out reward program, SDG&E presented the board with a $25,000 check. In a community where citizens work together to solve crimes, the threat of capture and swift punishment serves as a strong deterrent to would-be criminals. "Of all the programs you see and hear about throughout the law enforcement community, this is one that truly works. It's got almost a 30-year history here in San Diego and I'm very proud to be a part of it," Crime Stoppers Board Executive Director Don Braun said.